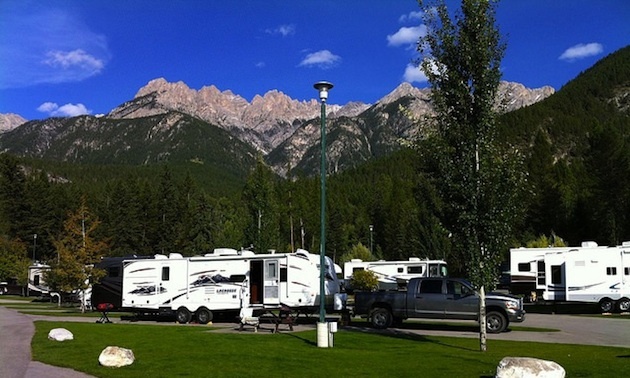 RVwest gathered RVers at Fairmont Hot Springs for its annual fundraising (and fun!) RV Rally. One of the annual highlights at RVwest is our RV Rally, which was held this year in early September at Fairmont Hot Springs RV Resort. The three-day event was hosted by Duane and Lynda Pilson of Rec-Vee Holiday Adventures, along with Keith and Linda Powell of RVwest magazine. 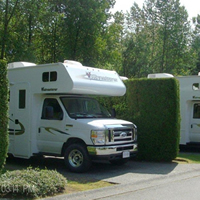 Being our 10th anniversary rally, it was a milestone event and a most enjoyable opportunity to get together with avid RVers and readers of RVwest for a series of seminars, a tour of historic sites, a charity auction, games and lots of good old visiting. The rally attracted almost 30 RV units and 70 people. The weekend was blessed with wonderful weather: cool and crisp in the morning and sunny and beautifully warm throughout the day, with a bright blue sky from horizon to horizon. Unfortunately, RVwest tech columnist Reg DeYoung of Runners RV came down with an illness just prior to the rally. 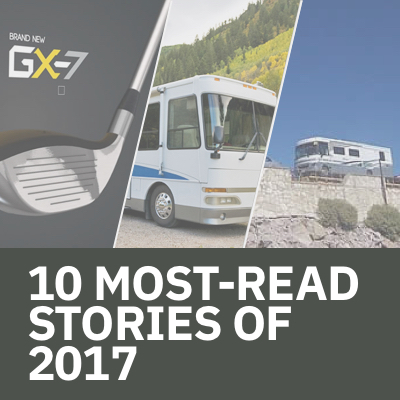 However, Duane and Bill Brown, service manager at Schwab RV, stepped in to fill the void and did a great job of talking about RV service and troubleshooting. Some of the topics discussed included winterizing your RV, managing your RV battery and power sources and the proper use of solar panels. Pilson also gave the audience an overview of his spring and summer Leisure Travel Van (LTV) caravan trip to Alaska. Duane and Lynda led 14 LTV units up and down the Alaska Highway and brought back an amazing assortment of photos and videos, which he shared at the rally. One of the highlights of the weekend event was a tour to historic sites of the Columbia Valley. This tour gave the participants a look at historic places like the Stolen Church of Windermere, beautiful Findlay Creek Falls, the Baillie-Grohman Canal near Canal Flats and the original Fairmont livery and stagecoach stop. As always the rally wrapped up with a banquet, which was preceded by a charity silent auction. All proceeds from the auction went to the STARS air ambulance service. 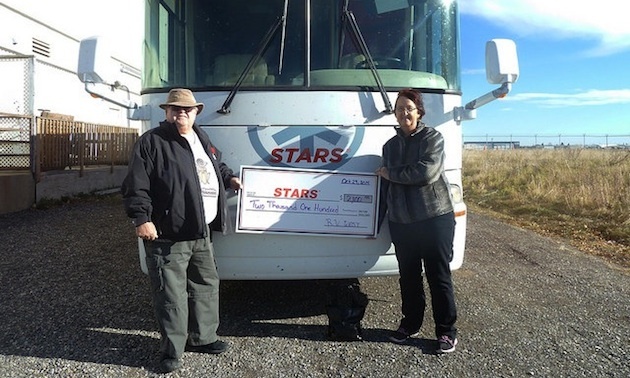 Again RVers showed their generosity by donating a variety of handcrafted and RV-related items, which raised $2,100 for STARS. "A big thank you to RVwest and everyone’s support of your silent auction,” said a STARS Foundation spokesperson, “as it is the giving heart and continued support that keeps us in the skies caring for patients. Without supporters like (that from) RVwest it would not be possible." Duane and Lynda made the official presentation on behalf of RVwest to STARS later in November. They were pleased to present the $2,100 cheque to the STARS air ambulance service in Calgary. This brought the grand total donated to STARS over the course of 10 years of the RV Rally to well over $14,000. STARS flies hundreds of medical evacuation flights throughout Alberta and southeast British Columbia each year. Left Field Cider Co. makes traditional craft cider using only the juice of apples, without any concentrates or flavours.